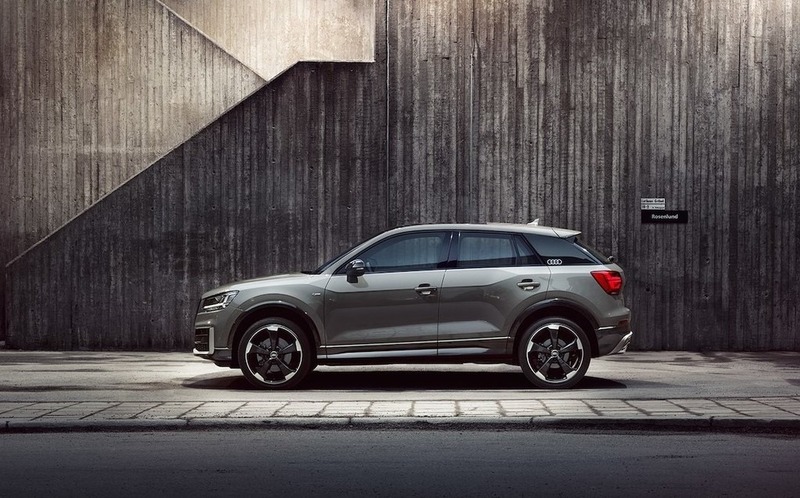 Audi is revealing the new Audi Q2* at the Geneva International Motor Show. The compact SUV is an urban-type vehicle for everyday driving and recreation, uniting a progressive design with a high level of functionality. Connectivity, infotainment and assistance systems are on level of full-size class. Automotive company ATL Automotive are set to sign an agreement this week after being named Regional Master Dealers for BMW and MINI in Jamaica and eight countries throughout the Caribbean. The regional appointment, a first ever for a Jamaican automotive company, followed a nine-month tender process that saw ATL Automotive overcome international bids from across Europe and the Americas. On 3rd March 2016, ATL Automotive will take direct control of the sales and aftersales of BMW and MINI in Jamaica and will play a regional management role in an additional eight other countries: Trinidad and Tobago, the Bahamas, Cayman, Curacao, Barbados, Aruba, Saint Lucia and Suriname starting from 1st April. Adam Stewart, Chief Executive Officer and Deputy Chairman commented, “This a tremendous moment for ATL Automotive and perfectly caps a year of long-term strategic planning that saw us make bold decisions, with our customers at the centre, on where we saw the future of the automotive industry going. This appointment has come to fruition because of our drive, peerless regional know how and good, old fashioned endeavour; great credit must go to the minds and management of the ATL Automotive team. We are delighted not just to be appointed, but to headquarter this regional operation right here in Kingston is huge and a great testament to the talent we have here in Jamaica. Similarly to when Sandals ventured outside of Jamaica to Antigua in 1991, this is just the first step in the realization of ATL Automotive’s own regional ambitions and who better to do it with two of the world’s finest automotive brands?” Stewart continued. BMW/MINI Jamaica is set to be operated as an entirely separate company, ATL Autobahn will be celebrated with the construction of two world-class, state-of-the-art sales and service facilities in the country’s capital Kingston, and for the first time ever, Montego Bay. In addition to providing world class sales and service to Jamaican motorists, ATL Automotive/Autobahn will serve as a central hub to include the distribution of cars and parts, service support, regional marketing initiatives as well as the central training ground via the company’s revered ATL Academy of Excellence. “Aside from our new role in Jamaica, we’ll be working closely with the existing dealer network, some of the best automotive dealers in the Caribbean, and supporting them with a full suite of our services. Whether it’s regional sales and aftersales support, game changing marketing initiatives or comprehensive training programmes, our mandate is to drive the BMW and MINI brands throughout the region. BMW and MINI are two of the most celebrated brands in Jamaica and existing and future drivers are at the forefront of our planning. We’ll be working hand-in-glove with the outgoing dealers, Stewart Autosales, to ensure the smoothest transition possible so that our mutual customers receive the highest level of care imaginable and practically an invisible transition for them. We thank Stewart’s Autosales for their professionalism and BMW for sharing our vision.” Stewart concluded. Existing BMW and MINI customers will have their service inclusive packages and new car warranties continued to be fully honoured by BMW and MINI. ATL Automotive was formed in 1997 as the authorized new car distributor for leading car giant Honda, and while serving Jamaica for over a decade has set the benchmark for automobile sales and service in the island. With the recent introduction of more world class brands to the family, ATL Automotive now encompasses several divisions exclusively distributing the world’s finest automobile brands, from state-of-the-art showrooms and service facilities in Kingston and Montego Bay, strengthening its undisputed position as the country’s foremost automotive group and changing the face of motoring in Jamaica forever. The Volkswagen Group reported considerable growth in sales revenue and earnings in the first six months of the year in a very challenging environment. Sales revenue rose by 10.1 percent to EUR 108.8 billion (EUR 98.8 billion) in the first half of the year, primarily due to exchange rate effects and an improved product mix. Operating profit before special items grew by 13.0 percent to EUR 7.0 billion (EUR 6.2 billion). Restructuring measures in the trucks business led to an operating profit after special items of EUR 6.8 billion (EUR 6.2 billion). The operating return on sales remained stable at 6.3 percent (6.3 percent). The Group’s operating profit and sales revenue exclude the activities of the Chinese joint ventures, which are accounted for in the financial result using the equity method. At EUR 2.7 billion (EUR 2.6 billion), the share of operating profit attributable to the Chinese joint ventures was level year-on-year in the first half of 2015. The Volkswagen Group’s profit before tax remained almost level at EUR 7.7 billion (EUR 7.8 billion) despite the negative effects from fair value measurement in the financial result. Profit after tax remained unchanged as against the prior-year period, at EUR 5.7 billion (EUR 5.7 billion).